Justice Secretary Chris Grayling has announced a change to the legal system that will slash the fees lawyers charge for bringing accident claims to court. The latest series of reforms sees the amount lawyers can charge for processing simple claims for minor injuries suffered in road accidents cut from £1,200 to just £500. The move has been made to reduce the bills faced by insurers, with the idea that savings will be passed on to customers. "No win, no fee" claims firms will also face tougher sanctions under the new legislation that states lawyers will no longer be able to double their fees if they win. Claims firms will also be banned from offering cash incentives or gifts to people who bring claims to them. 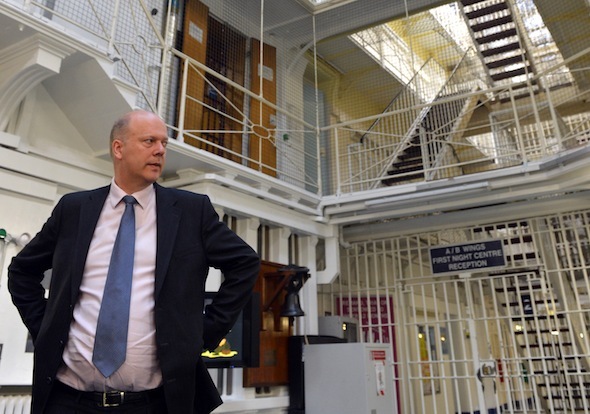 Mr Grayling told The Times: "We are turning the tide on the compensation culture. It's pushing up the cost of insurance and making it more expensive to drive a car or organise an event. "It's time the whole system was rebalanced." Action is also being taken to reduce the number of whiplash claims, with independent medical panels called upon to assess injuries, and raising the limit of small claims courts. But the Association of Personal Injury Lawyers believes the changes will reduce access to justice and leave many to represent themselves. Matthew Stockwell, the president of the association, said: "The idea that these legal reforms will result in lower insurance premiums is a myth. Two major insurers have already warned people not to expect a substantial drop in premiums. "All the government has succeeded in doing is to shift the burden of paying for legitimate damages claims back on the victim, instead of the person who's caused the injury."